YourAngelCodes came about in this way. I was working with a regular client, a fellow who happens to be a psychologist. He is good at helping others find ways to get more centered. He isn’t so great at doing this for himself. I felt that teaching him to do a chakra meditation would be beneficial because chakra meditations are easy to do and don’t require the absence of thought that is valued in some meditation practices. More about chakra meditations elsewhere, but suffice it to say, they are wonderfully calming. As I began to teach him how to do the meditation, angels began talking to me, nudging me to recommend a certain number of breaths he should take in each chakra. The numbers were different for each chakra. Then, to my surprise, the angels wanted him to repeat the process, using a different set of numbers. Having learned to listen and follow those types of messages, I wrote down the numbers and gave them to him. The very first time he practiced the breathing method and used the numbers, he saw benefits. I began to get a “download” of codes for first one client, then another. Clients have reported that they feel more empowered in their lives since using these codes. Some clients have seen increases in their businesses, others have been able to see Spirit Guides, some had other transformative experiences. All who’ve reported back to me say the codes bring a sense of peace. As more and more testimonies came in, I realized I’d been given a powerful tool that would enable people to help themselves through use of spirit-issued numbers. I looked at how many different ways numbers have played a role in our lives. The Fibonacci numbers show us the patterns inherent in nature, then there are the numbers relevant to numerology and astrology–and simply too many other ways we use numbers to mention them all. It seemed logical that the codes would, as the angels were telling me, help each person access their most harmonious energy point for solving a life issue. I love having tools provided from above and know that each person can benefit from having their own code from the Angels. With each and every “download” of numbers, I put my own heart energy in, adding a blessing to each person I’m able to serve. Are the codes the same for everyone? No, the codes are different for each person. Will my code ever change? How long will my code last? Yes, the code can change, but only after the primary issue you’re dealing with now has been resolved. Even then, continued use of Your Angel Code will bring a feeling of peace. 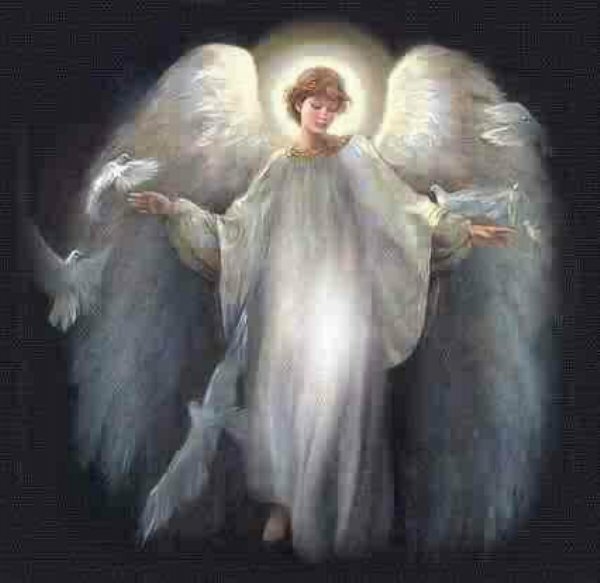 Once you have resolved an issue, you can obtain a new code for the next area you’d like the angels to assist you with. How do I know it’s time to change my code? There are three reasons: (1) your biggest life issue has been resolved; (2) the energy you feel when using the codes isn’t as strong; or (3) you want to work on a different issue than you did when you first acquired the codes. Is there another type of code? Yes. There are the basic codes, known as YourAngelCodes and there are Angel Life Codes. The Angel Life Codes are different in that they are numbers that are simply an identifying energy code that helps your body resonate with its original energy when your soul came into being. YourAngelCodes are the codes that assist you in managing a particular area in your life. Should you want the set of Angel Life Codes, those are available. They are not codes that you use in the same way as YourAngelCodes. Life Codes are longer and would not work with breathing into the chakras. They are numbers you chant, instead. How often should I use my code? If your issues are large ones that are causing stress, its recommended that you use your codes both morning and night. Do try, at minimum, to use your codes in the morning. What’s the best way to use my code? Chakra breathing is hands-down the best method. There are simple instructions supplied when you are provided with your code and there’s a support video. Learning the process is easy and only takes a few minutes to do. No, however this is the most effective method. It’s NOT the type of meditation most people are familiar with, as you don’t have to quiet your mind. Your focus is on your numbers and your breath in each chakra. You can also recite your numbers as you focus on the corresponding chakra if you don’t want to (or don’t know how to) breathe into your chakras. Is there anything the angels don’t do? Angels assist those who actively participate in creating their deepest desires. Angels will never assist you in doing anything negative. Why should I get my codes here? How do I get my codes? How do I know how to use them? Click the link below. Every order takes time to fill, as the codes need to be divined from the angels. Requests are filled as quickly as possible, but please allow up to two weeks. YourAngelCodes. Cost per code is $25. Important directions below! Please follow precisely. YourAngelLifeCodes. Cost per code is $25. Important directions below! Please follow precisely. When either set of codes is purchased, YOU need to follow up by sending your receipt number, your email address, and both the first and last name that you resonate with the most to admin@yourlovingspirit. If you resonate more closely with a nickname, for example, use that name. Specify whether you’ve paid for Angel Codes or Angel Life Codes (or provide receipts for both).